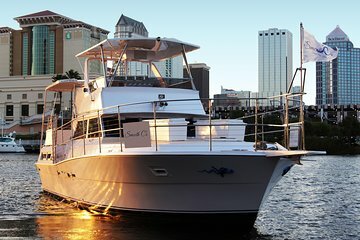 Discover the Floridian coast on a private 2-hour yacht tour from St. Petersburg. With space for up to 20 passengers, the exclusive excursion is the perfect option for family reunions, wedding parties, or business events. Whatever the occasion, enjoy exceptional views as you cruise past Snell Isle, Vinoy Hotel, and more from the comfort of a chartered yacht.